I got a request this week from a Facebook user in a group I am in, to put together some freezer meal plans for casseroles. 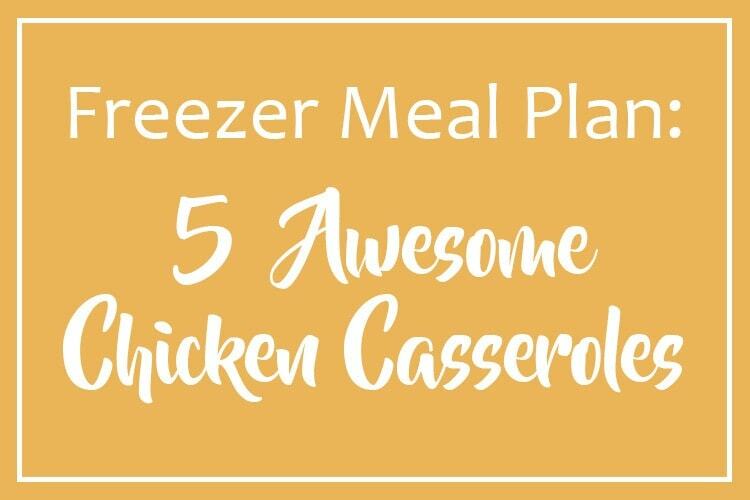 So, today I bring you a Chicken Casseroles Freezer Meal Plan!! I’ve put together five simple recipes for chicken casseroles that make up into easy, delicious freezer meals! I love to take the Chicken Vermicelli to neighbors and friends, and I haven’t found anyone yet who isn’t a fan of the King Ranch Chicken! This plan includes five recipes for a variety of different types of chicken casseroles, a shopping list for ingredients, and directions for preparing each as a freezer meal. You’ll make two of each meal, for a total of ten meals ready to go in your freezer! 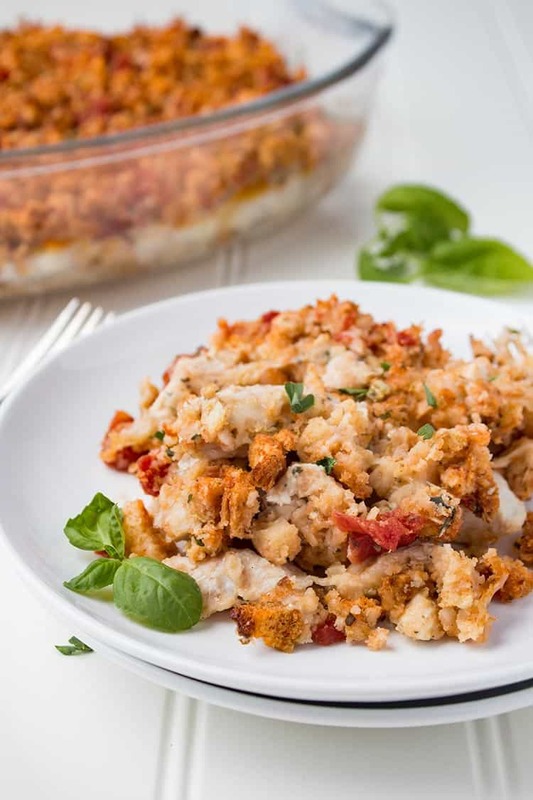 Recipes included in the Chicken Casseroles Freezer Meal Plan: Bruschetta Chicken Bake, Chicken Vermicelli, Chicken Salsa Lasagna, King Ranch Chicken (adapted from TheSeasonedMom), and Chicken Caesar Casserole. How much prep will this require? There is some pre-cooking of the chicken, and you’ll have to cook your pasta, but other than that, there is very minimal prep. These meals go together pretty quickly, so you could easily have these ten meals done in less than 2 hours from start to finish. I wish I could say that I had lovely pictures for all of these, but I don’t. Several of them had pictures from long ago on my other blog which are sadly no longer available (and which I wouldn’t want to post anyway because they looked TERRIBLE, trust me). My dilemma though is that most of these recipes are not ones that my family can eat right now, so while I could make them up and take some pictures, there’d be no one to eat the meals! And I hate wasting food. So you’ll just have to trust me that these are recipes my family has tried and liked! I hope you will like them, too! If you’re interested in some additional chicken casserole meals, check out my Chicken Alfredo Bake!